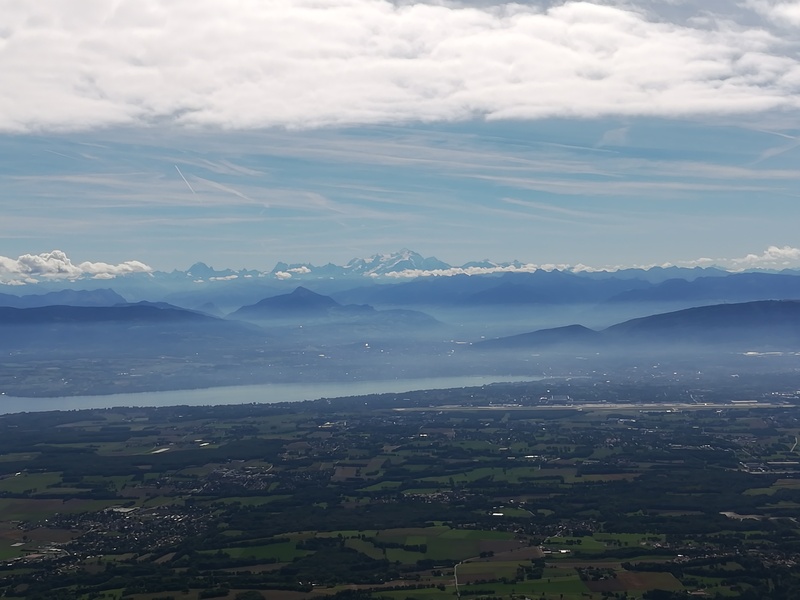 After a errand-filled rest day in Grenoble, the climb out of the urban basin was rigorous and busy. 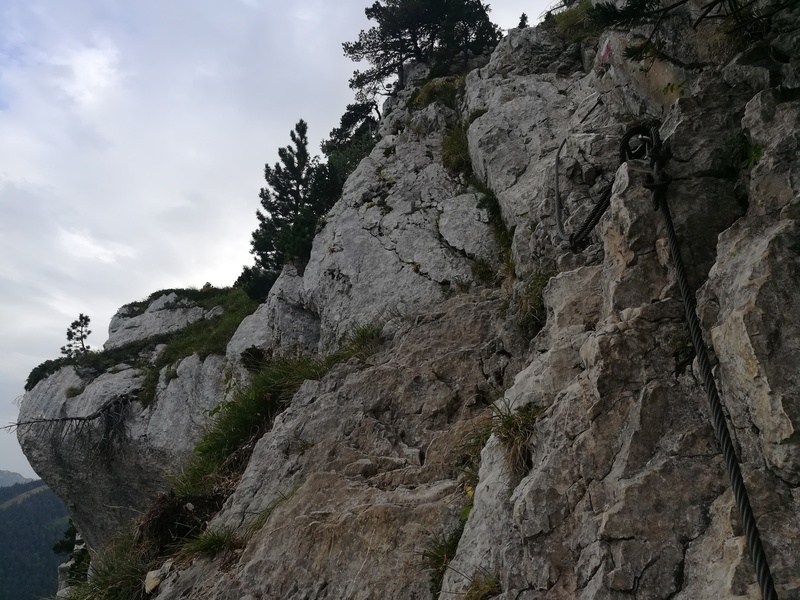 There were a lot of people hiking this section, and there were quite a few people taking part in other outdoor activities. 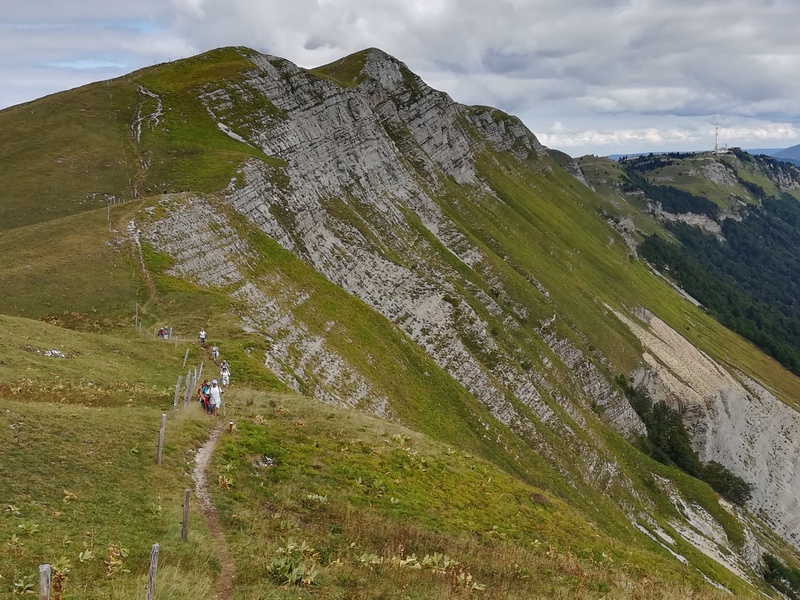 I saw trail runners, spelunkers, rock climbers, and paragliders in the entrance to the Chartreuse Mountains. The col where I camped the first night was buzzing with people until nightfall. 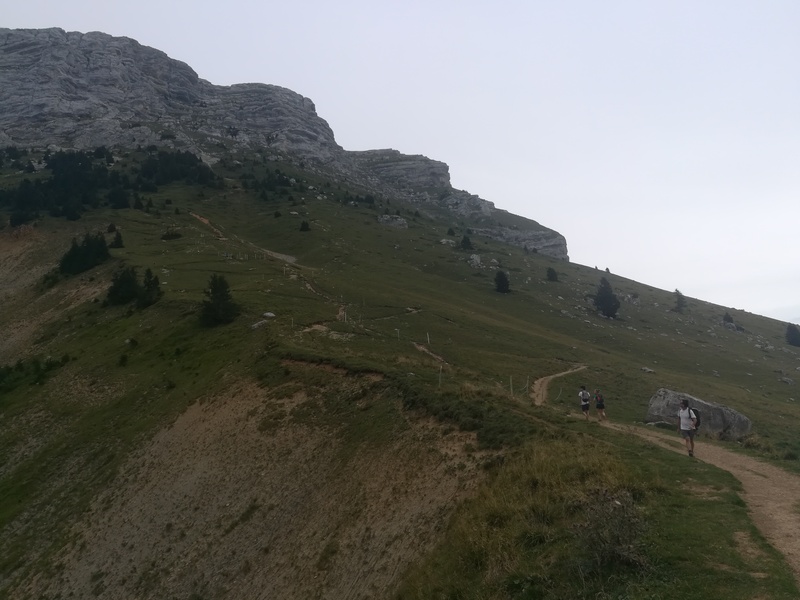 The next few days were a full-blown lesson on the beauty and ruggedness of the Chartreuse Mountains. 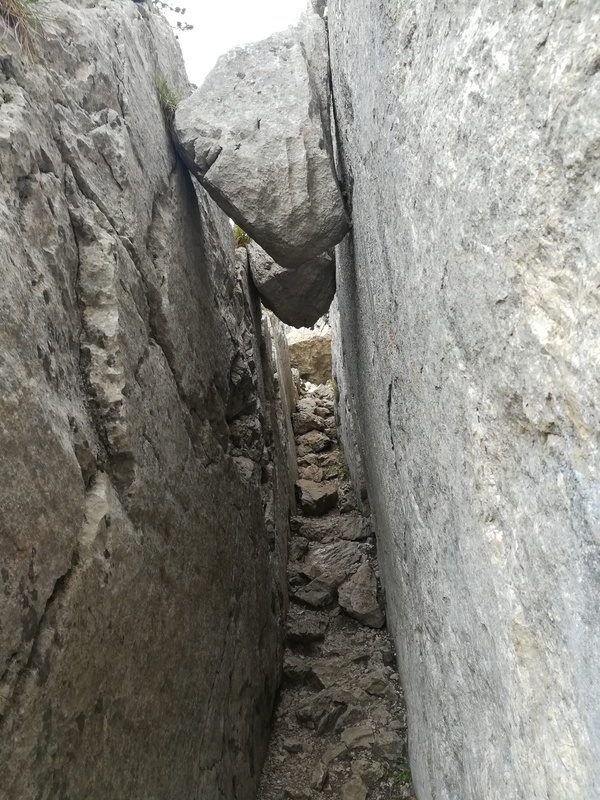 Immediately there were several rocky ledges with cable handholds and also some narrow cracks that I could barely fit through with the pack on. This section was full of steep col climbs, sweeping valleys, and chamois sightings. The rich green colors made it easy to see how the area got its name. The area lends its name and color to the local (becoming popular abroad) liquor Chartreuse, which is made from a mixture of regional plants. 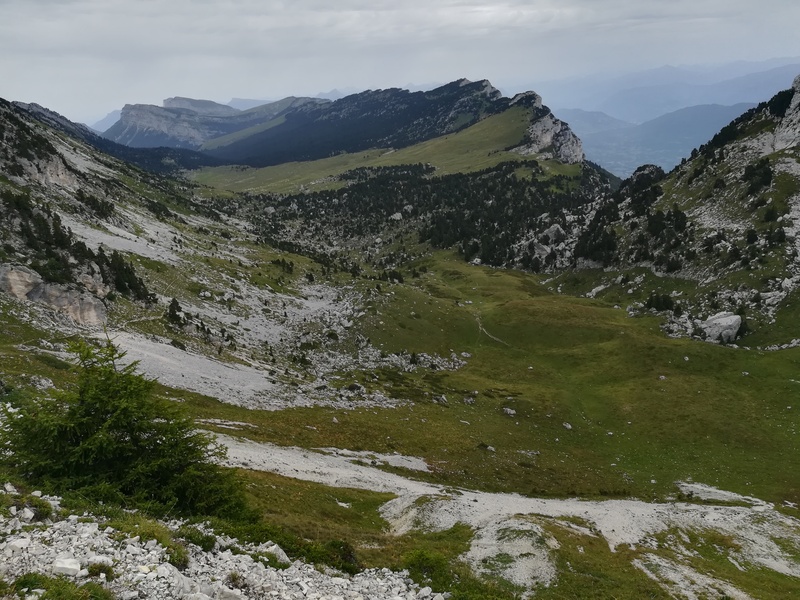 The tough trails were rewarded with outstanding views and small, picturesque villages like Corbel, La Pont Saint Martin, and Les Eschelles. The three days after Yenne were very wet and cold, which was tiring. The rain and mud combined with my old, hole-filled, bald shoes made for some pretty challenging days. It was so wet that I only took a few photos during these three days because my phone was getting waterlogged. 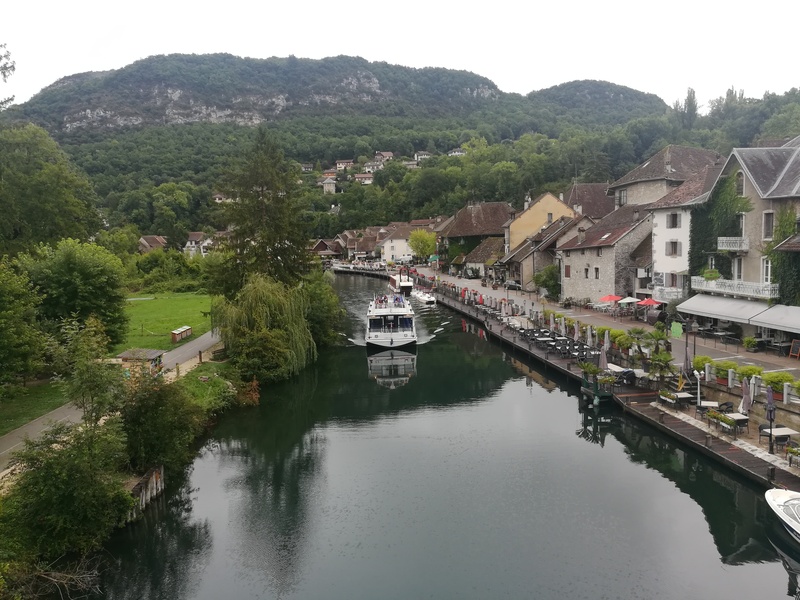 I was lucky enough to get a small break in the rain in the village of Chanaz, with its beautiful canal. 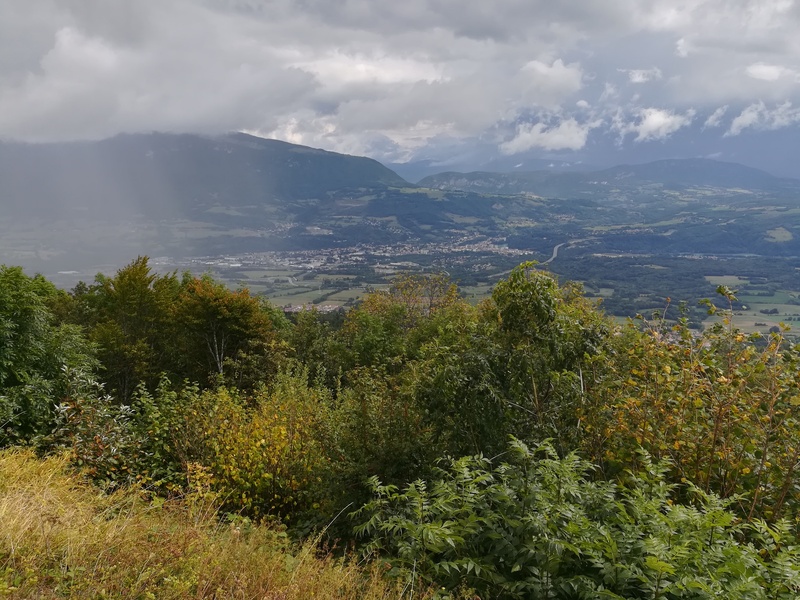 It continued raining through Culoz and the Grand Colombier, and most of the way to the local ski village of Les Plans de Hotonnes. The day into Chatillon en Michaille had rain showers that were like clockwork, 15 minutes on 10 minutes off. 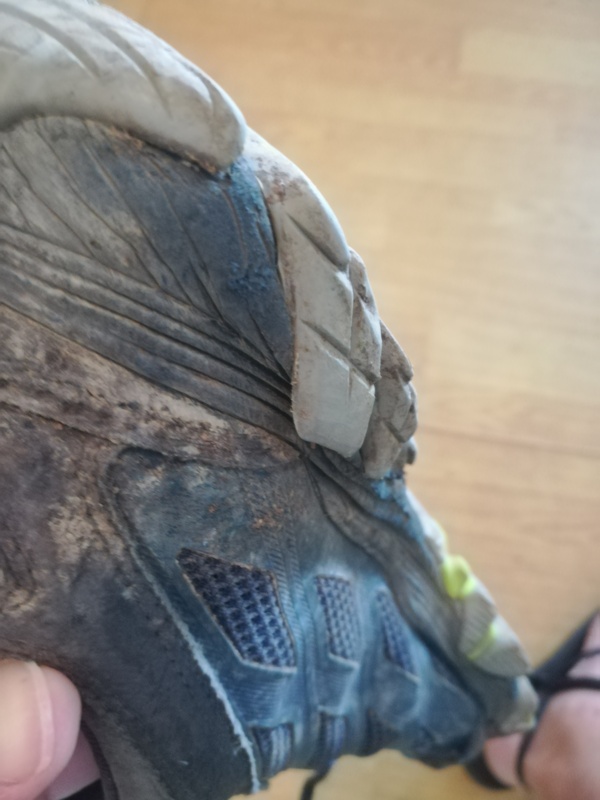 The rain finally stopped after Chatillon en Michaille, but it reinforced my desire to get rid of my old shoes during the next rest day. I had been carrying new shoes since Grenoble, but wanted to get some more use out of my old shoes before changing. 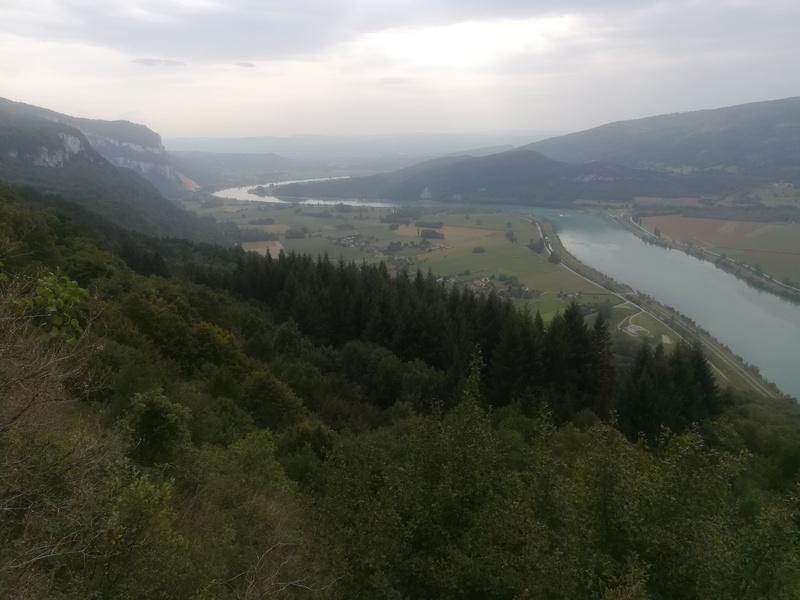 There was a long stretch of busy road to Saint German de Joux followed by logging road walking through Giron, and I found a spot to camp along the dirt roads. The camping was very cold and damp, and I was anxious to get going in the morning to warm up. The path went though rolling hills and nice green valleys. 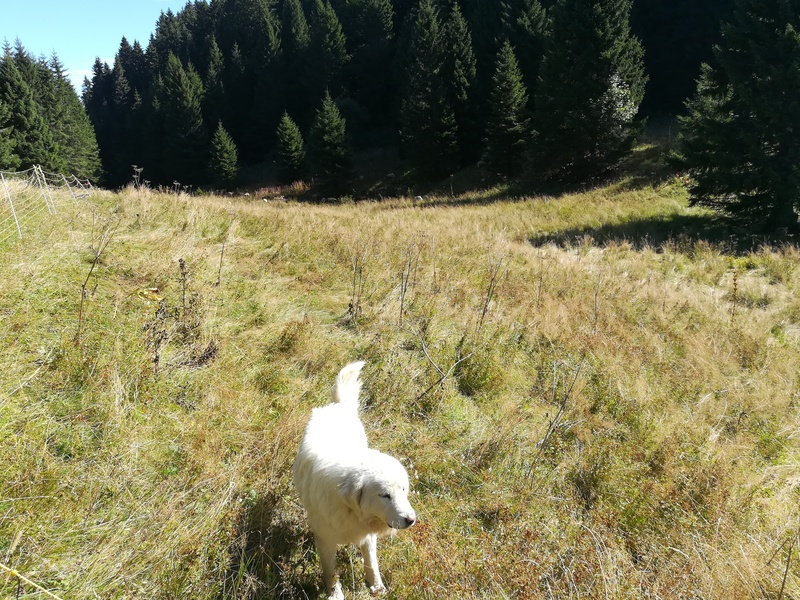 While walking next to a penned area, I was challenged by a sheep dog that was protecting his flock, but he knew I wasn’t going to bother the sheep. Just doing his job, and doing it well. Dropping down through the forest, I arrived at my last stop in France, the ski town of Lelex. Lelex had quite a few businesses, but most were closed until ski season. The last day in France (and first day in Switzerland) started with some steep climbs through the woods and ski fields above Lelex. 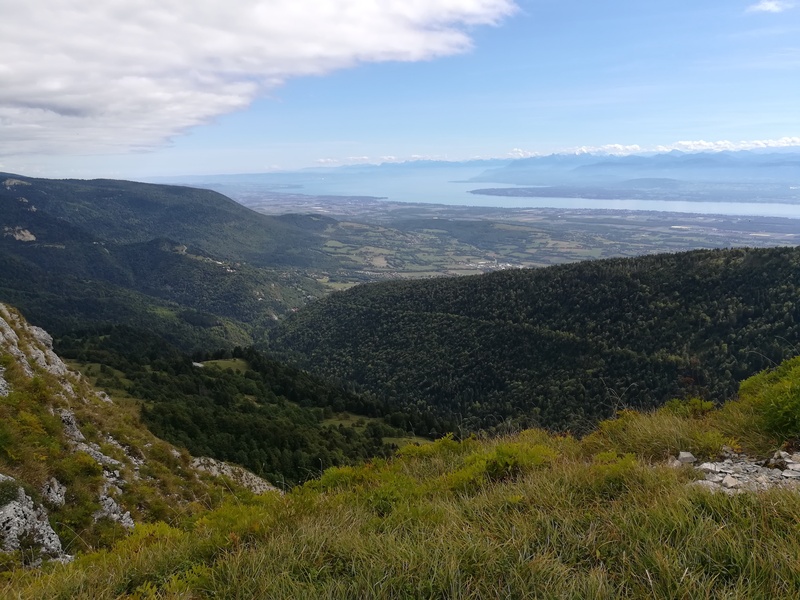 The path emerged on the ridge overlooking the immense valley containing Geneva, Nyon and Lac Leman, with stunning views of the Alps. 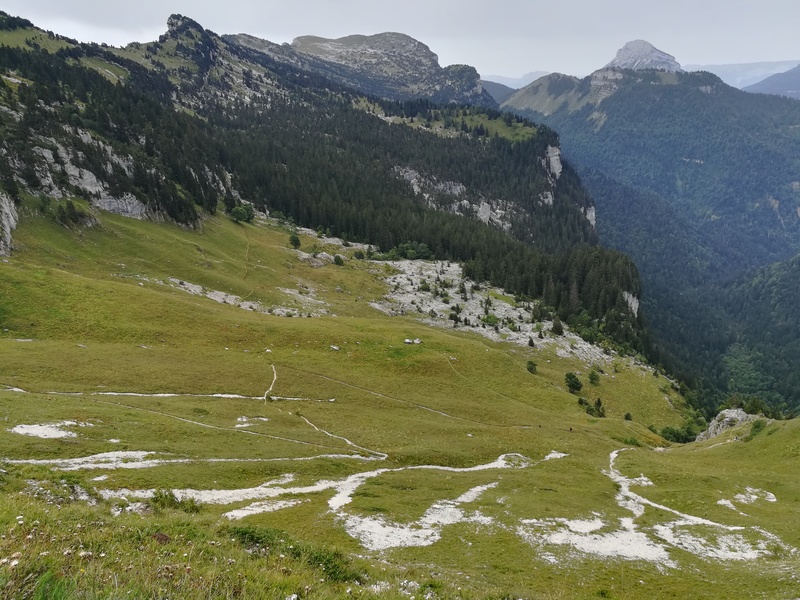 The views were best from the Colomby de Gex. There were quite a few people walking this ridgeline to soak in the views. 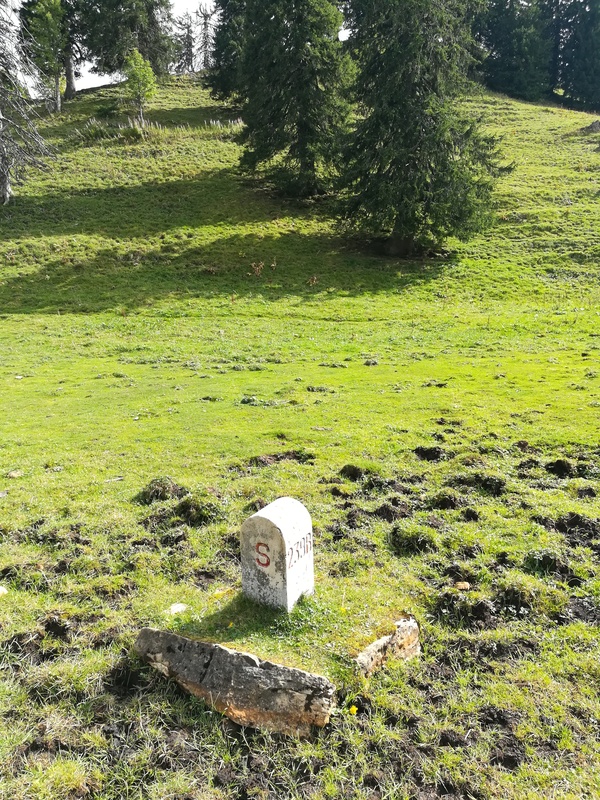 After leaving the ridgeline and hiking through some forests, I reached the Switzerland border. I wasn’t expecting to see any markings to signify that I was crossing the border, but there was a small concrete marker. Also, the waymarking changed from the familiar red and white stripes of the GR routes to yellow, which was a bit strange after looking for the red and white stripes for the last 3000+ kilometers. 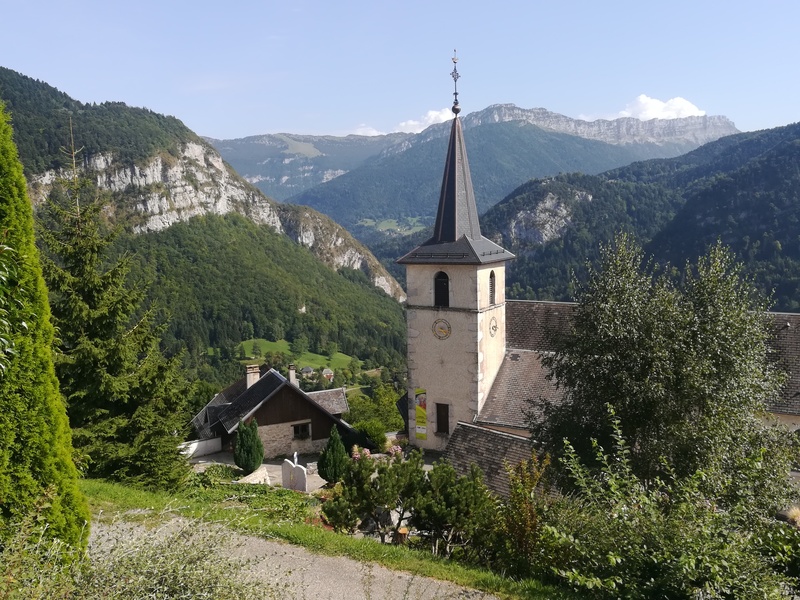 After crossing the border, there was another climb to the radar station at La Dole before a curvy, rocky descent into Saint Cergue, the first village in Switzerland. 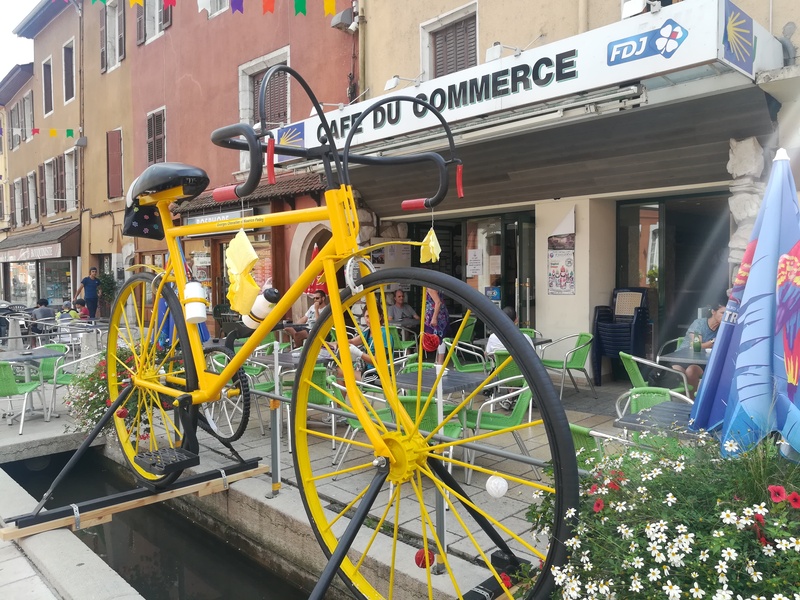 I took a rest day in Saint Cergue after ten hard days through the mountains and rain. Two countries down, many more to go! Saint Cergue marks the end of my second pair of shoes. I will be switching from the Merrell Moab FST to the Merrell Moab 2 Low. These shoes have a similar last, and they should fix two of the problems that I have encountered with the FSTs. First, the aggressive tread on the FSTs tends to peel away from the foam. 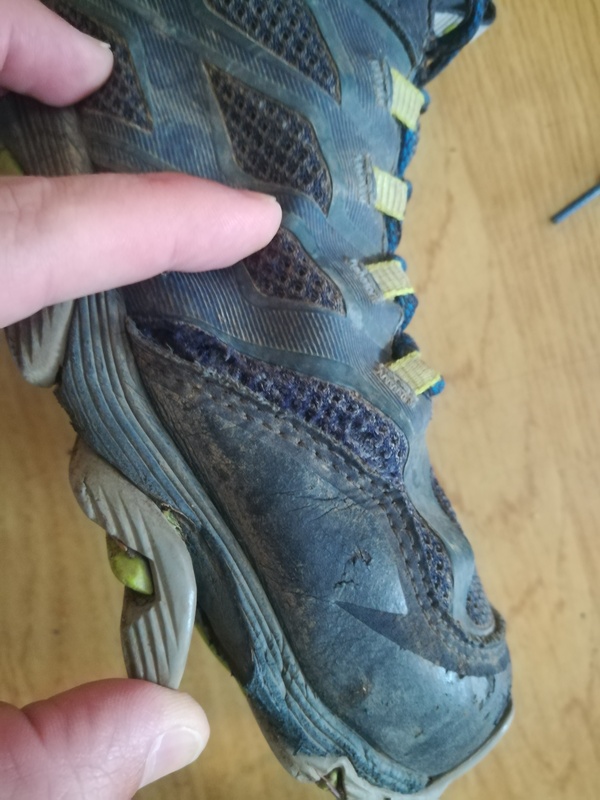 Second, the foam on the inside of the heel tends to break down, making the shoe uneven. This is potentially painful for over pronators (like me). Even though I have encountered the above issues, it does not mean that the FSTs are poor shoes. They have served me well, and it has to be noted that I am putting these shoes through more abuse and mileage than they were designed for. The Moab 2 Low is a bit more robust, so I’ll see how it performs. Also, I have really been battling low morale for the last ten days, especially during the rainy days. 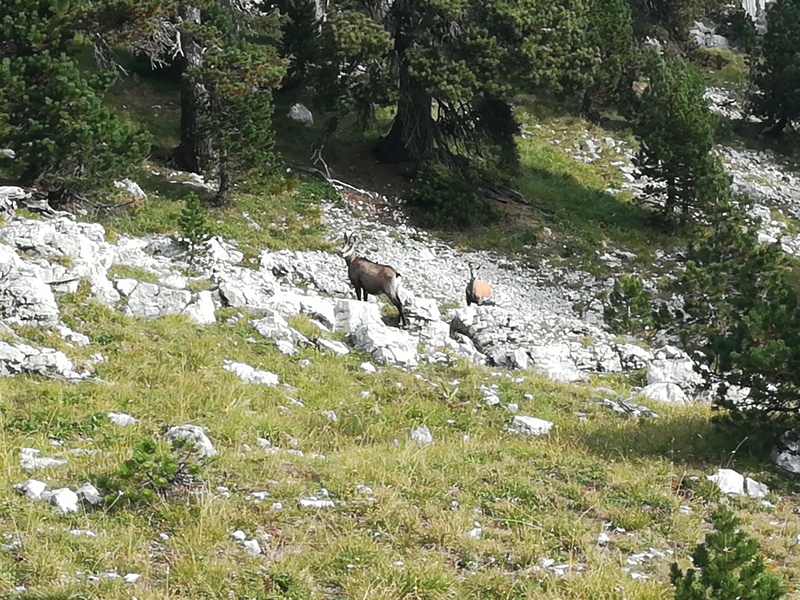 I’m feeling a bit better now that I have reached Switzerland, but it was easily the longest stretch during my trip where I was struggling mentally. Hopefully I can put that behind me and get some confidence back. Thanks for the kind words! I’m glad that it’s motivating and entertaining. Switzerland has been challenging because of the weather. I haven’t had a good weather day yet in Switzerland, with lots of rain and wind, which makes the trails muddy. The photos have been a bit limited and gray lately because of it. I will let you know the next time I’m in F.B., and maybe we can meet up. I cannot put into words how much I am enjoying reading your trip details. You should consider putting it all into a book when you return home. You have a great gift for writing. Stay safe and keep the blogs coming.